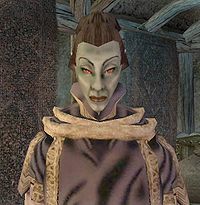 Verara Rendo is a Dunmer clothier located inside her shop in Suran. While she only sells up to extravagant clothes, you can find four random exquisite clothes in her chest upstairs. This page was last modified on 22 October 2014, at 20:27.